Part of the tire that encloses a rigid steel wire that keeps the tire on the rim and makes it watertight. Alphanumeric code molded onto the side of the tire, showing its characteristics. Part of the tire located between the tread and the bead. Round protrusion of the rubber wall, protecting it from side impact and wear. 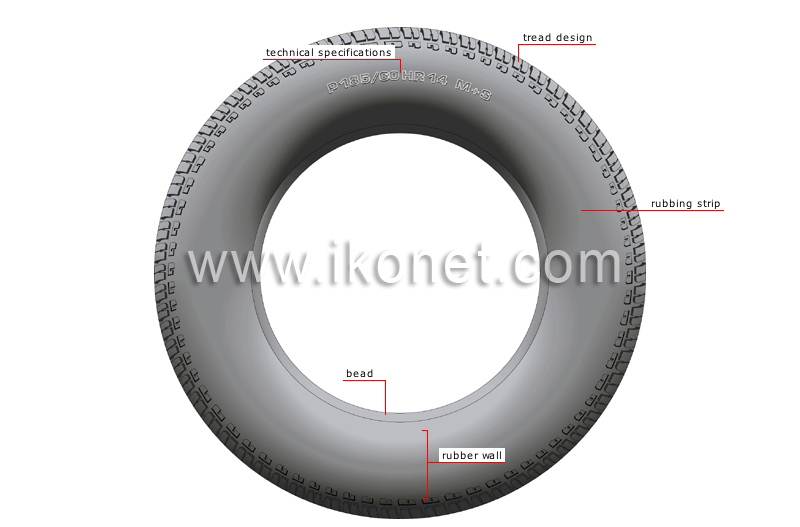 Raised part of the tire tread that improves traction for various usage conditions.